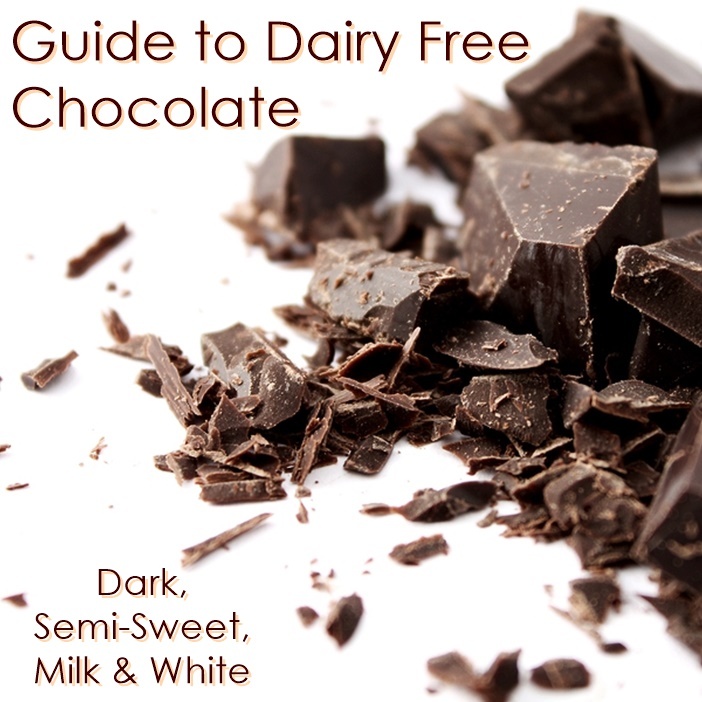 The information below on how to substitute chocolate is excerpted from my book, Go Dairy Free: The Guide and Cookbook. In the book you will also find recipes for making your own chocolate (chocolate chunks, white chocolate and peanut butter chips)! 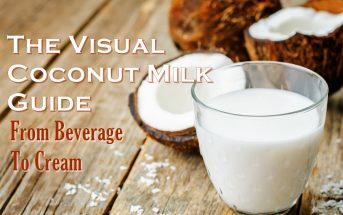 But here on this post, I’m able to link up to some helpful articles as well as share reviews of some great dairy-free substitute chocolate brands. Yes, Real Chocolate is Dairy-Free! Where Can I Get My Chocolate Fix? What Brands of Dairy-Free Chocolate Do You Recommend? As mentioned, many brands of chocolate, even very dark ones, do have milk-based ingredients added. Also, for the highly sensitive, be aware that most chocolate is made on shared equipment, and therefore at risk for cross-contamination with milk chocolate. That said, this category has many brands to choose from. Semi-sweet chocolate, the type we most often use as baking morsels, is usually around 35 to 45% cacao. It contains quite a bit of sugar, but is very often void of milk ingredients (unlike milk chocolate which is high in both sugar and dairy). Dark chocolate bars, which can be used for recipes but are also great for nibbling, usually start at around 50% cacao and run right up to 90% cacao (very dark, but loved by chocolate purists)! The amount of non-dairy options seems to jump dramatically at around 70% cacao. 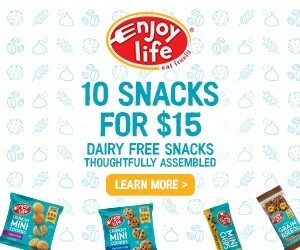 Enjoy Life Foods: For baking chips, chunks, and indulgent little bars, this family-friendly brand can’t be beat. They run a top allergen-free facility and their chocolate is fairly well-distributed and easy to purchase online. Pascha Organic Chocolate: This is my go-to for a more “grown-up” chocolate experience. They also run a top allergen-free facility and offer excellent baking chips (from semi-sweet to unsweetened) and a range of dark chocolate bars. Taza Chocolate: Their rustic chocolate discs and bars are simply addictive, and made in their dairy-free, egg-free facility. Sadly, they discontinued their baking chunks – we hope they will bring them back one day. Scharffen Berger Baking Chocolate: They run seperate facilities, but at last check, their baking chocolate lines (including large semi-sweet and dark chocolate bars and various chocolate chunks) were certified kosher parve. Some of their other products are made in a different factory location that contains milk. If safe for you, these are a gourmet European treat. Enjoy Life Foods: Their Boom Choco Boom Bars come in two RiceMilk varieties, regular and crunch. 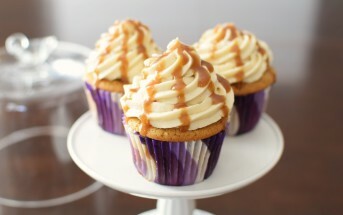 Sweet and perfectly-portioned for kids and adults. Premium Chocolatiers: They also run a top allergen-free facility (they banished soy in 2016), and offer some pretty tasty and smooth Milkless Bars. Chocolate Dream: This is a dairy-free, gluten-free line by Hain Celestial, which mostly consists of dark bars and chips, but they also have a Creamy Sweet bar that is true to name. Premium Chocolatiers: Their Milkless Bars line includes white chocolate Polar Dream. I haven’t sampled these as of yet, but have heard good things. Charm School Chocolate: They make a swoon-worthy vegan white chocolate – not cheap, but worth it. Sweet William: This is an Australian brand that I had the opportunity to trial. It’s very popular, and for good reason. We’ve yet to trial any dairy-free white chocolate chips and have heard mixed reviews on the very few brands available (such as Lieber’s and VeganSweets). But it’s rumored that Pascha Organic Chocolate will be emerging with one. For homemade white chocolate, enjoy the recipe in Go Dairy Free: The Guide and Cookbook or my other recipe for White Chocolate Crispy Bars. Below are the non-dairy chocolate products we’ve had a chance to taste-test and review here on Go Dairy Free – yes, we’ve eaten a lot of chocolate, and will continue to do so. This list will continuously update as we sample new brands (so I recommend bookmarking!) 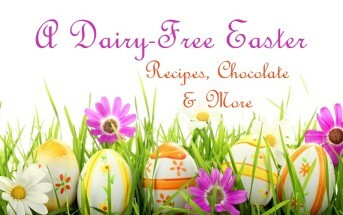 and it includes all types of dairy-free chocolate bars (dark, “milk”, white, flavored, etc. ), dairy-free chocolate chips, and even awesome candy bar options (from peanut butter cups to chocolate-covered caramels!). 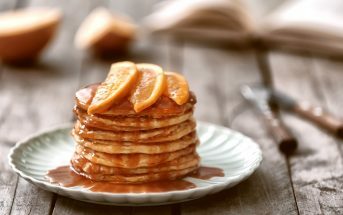 As mentioned, many of these products are made on dairy-free lines, while some may be at risk for potential trace cross-contamination – it’s up to you to check on a products safety for your dietary needs. 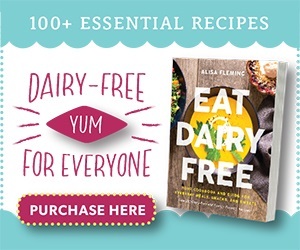 For more chocolate substitute recipes and tips from my kitchen, see Go Dairy Free: The Guide and Cookbook for Milk Allergies, Lactose Intolerance, and Casein-Free Living. You read my mind Mrs. Beatty! I’m working on a chocolate chip post now and just added VeganSweets! So good to know they are a tasty option. Lily’s stevia-sweetened, vegan chocolate bars are fantastic! Rescue Chocolate’s white chocolate is horrible. Tastes like nothing but squares of hardened oil of some sort. I was looking for something to use after Ghirardelli started adding dairy to their chips and found Simple Truth Organic Semi-Sweet Chocolate Chips at Kroger. Great, thanks for sharing! These look like a good option for those who aren’t concerned with potential cross-contamination with dairy. The link above is no longer correct. It took me to a page for Simple Truth Organic Unbleached All-Purpose Flour. Pingback: Thick Gluten Free Dairy Free "Cheesecake"